Food Republic, the brainchild of Red Rooster’s Marcus Samuelsson, is a website and media company with a lot of ambition that seeks to demystify cooking and food culture for a generation of men who aren’t currently being served by existing media outside of the food competitions you see on television. Here, Martin breaks down the origins of Food Republic, their mission and plans for the future. Hashtags + Stilettos: When did Food Republic launch? Richard Martin: Foodrepublic.com launched in April 2011, as a soft launch. H+S: What is the mission of Food Republic? RM: Food Republic as a company, and initially as a website will be a brand that men (and women too) will associate with eating, cooking and drinking better. Essentially, we want to provide a place for men (and women) to have smart conversations about the food they cook and eat and anything that surrounds the lifestyle and culture of food. 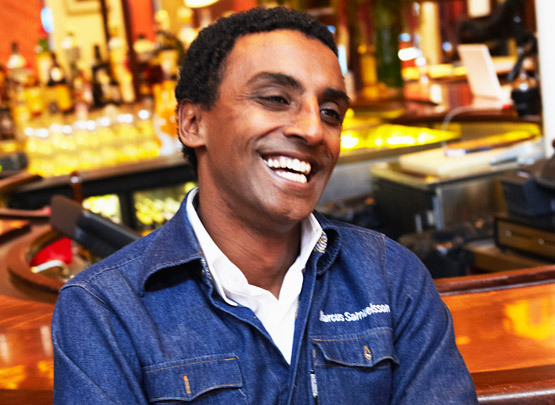 H+S: How active is Marcus Samuelsson in the day-to-day editing of the site? RM: Marcus is a co-founder of Food Republic, and he’s very involved. He and I speak on an almost daily basis, and he shares ideas, contacts and plans overall strategy of the site and the brand. He also regularly appears on TV as a representative of Food Republic, and has co-hosted several events, including a private dinner for 25 lifestyle and food personalities at his Harlem apartment. H+S: When did you join Food Republic? RM: Marcus and his partners hired me in March (2011) based on my previous lifestyle and food media background, and I launched the brand and the site in April (2011). H+S: How many full-time staffers do you have? Do you work with freelancers? RM: We just have a few editorial staffers: myself, a part-time contributing editor, a full-time assistant editor, and a full-time general manager on the business side. We also have more than a dozen freelancers sending in dispatches about food, drink and cooking from around the globe. H+S: Where did the idea for Food Republic come from? Why create a food website for men? RM: The idea for Food Republic was the work of Marcus Samuelsson and several partners in 2010. When I met with Marcus and his team, we were immediately on the same page: There’s a generation of guys who have a passion for cooking and food in general but who weren’t being served by existing media. There are a lot of great food and recipe sites, but men need a place to have conversations about everything from cooking technique to food politics to what to wear to a cookout to how to make a martini to what music to listen to while cooking. Knowing the way around the kitchen, or around a restaurant menu or wine list, is part of many male lifestyles today, and we’re addressing this underserved market. We’re creating a place for guys to have intelligent conversations about food and cooking. H+S: How has the site been received by its target audience? RM: We’re still a fairly new site, but we think we’re definitely starting to hit our stride. Our audience has been growing at a rate of about 30 percent each month, and the amount of unique visitors we have been getting for the past three months places us alongside websites that have been around for several years. This is because our stories are regularly featured on high-traffic websites like The Huffington Post, Eater, The Daily Beast, Grub Street, todayshow.com, and recipe and food photography sites like foodgawker, tastespotting and gojee. In the next month or so, we will begin to roll out syndication deals. H+S: As editorial director, what is YOUR mission or goal for Food Republic? RM: I’m one of many guys I know who cares about cooking and food in ways that my father and grandfather never thought about. I care about seasonality, technique, sourcing, sustainability. And I like to have a good time. Part of being a modern gentleman is knowing how to entertain, how to cook or at least choose a special restaurant. There hasn’t been a media source for guys like me and the many guys I speak to who have a passion for these things. There might be a section of a website devoted to male cooking, but it too often assumes guys can only handle themselves around a grill, or that they only order steak or burgers. There’s a lot of nuance to the culinary-minded male, and men need a place where they can feel like they’re not being talked down to. Women are welcome too, of course. I’m happily part of a couple where we both do a lot of cooking, and I’m a big proponent of the theory that the couple that cooks together stays together. In short, my mission is that everybody’s gotta eat, and I want Food Republic to help people make informed choices about how to eat better and feel better. RM: It wasn’t hard at all to convince advertisers that more men are getting involved in food choices. Many advertisers would love to reach a new category of male consumers, and we provide a perfect platform. Think of the possibilities: spirits brands that want to show that their products match well with food; gadget brands that want to showcase their products to young, engaged men who strive to cook better; lifestyle brands that are early adaptors in the music/movie/sports/style and food/drink crossovers (you can type music or style or sports or movies into the search engine on foodrepublic.com and see what I’m talking about). H+S: What barriers do you think Food Republic can break down when it comes to getting regular guys comfortable with being in the kitchen? RM: There are definitely guys who are intimidated by the kitchen. That’s a big reason why we launched Food Republic. It’s almost funny actually, how some guys seem almost fearful when they start talking about cooking; but then you meet other guys who just decided one day to give it a try and now it’s all they wanna talk about. For me, it was like learning guitar: I learned to play by getting a Neil Young songbook and strumming a few chords until I felt comfortable. I learned to cook by getting a few cookbooks and experimenting until I felt comfortable. For some guys, even boiling water can be a semi-tramautic experience. Food Republic wants to make sure it isn’t one. H+S: Food Republic isn’t just about recipes for guys, it’s really about changing their mindset and attitude toward food and food culture. Is this an accurate statement? RM: Strikingly accurate. When some people say recipes for guys, they think of nacho and burger recipes. There’s so much more to it than that. H+S: What have you learned about guys and food by editing this site that you did not know before? RM: Just how big of an audience there is. When I started Complex magazine and later Complex.com, we had to deal with guys who were just starting to feel comfortable stepping up their style game. It was hard! Cooking and food has a ton of nuances as well, but it’s probably easier for a guy who’s just starting out in the kitchen to cook a decent meal than it is for a guy who’s trying to dress better to look sharp right away. The barrier to entry is low here, and guys are flooding into the zone. H+S: What are some common misconceptions about Food Republic and how men consume food/food media? RM: Guys are so passionate about food in all sorts of ways. You have some guys who like to experiment with food in the kitchen like it’s a science experiment; other guys like to take a seasonal ingredient like butternut squash and prepare it simply. Still other guys are committed to food causes, like sustainable seafood or organic farming. Rather than thinking of guys being into ribs, grills and beer, it’s more helpful to start the conversation by thinking that in addition to those types of guys, there is a whole other universe of guys who care about food in different ways. We want to speak to all of these guys; those who like to crack open a domestic beer and make an awesome burger on the grill, and those who want to impress a date with a three-course meal paired with good wines. And even that is way too general. H+S: What should food brands and/or marketers know about men and food? RM: Just that they’re passionate. The main difference between men and women (and again, this is generalizing), is that many guys are perfectionists. So finding the microplane that zests perfectly or the food processor that is the most consistent or the cocktail mixer that works best is really important to a man. 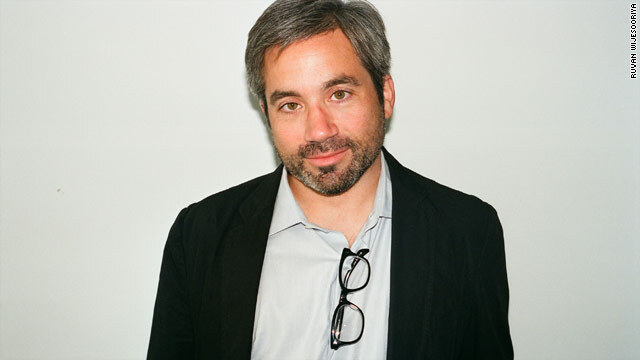 There’s a lot of brand loyalty at stake here, so getting to this audience quickly is important. H+S: Has Food Republic done any brand partnerships? RM: We have worked closely with a few brands to help execute events. Part of Food Republic is events as well, and getting brands in front of our audience. We had a dinner at Marcus’s apartment where guys like Q-Tip and the artist Jose Parla joined chefs like Marcus and Bill Telepan in sharing their food histories as we had a family-style dinner. We will continue to host events like this and give our brand partners an opportunity to showcase their products. H+S: What’s next for Food Republic? RM: Food Republic is currently the website FoodRepublic.com and an events company. If you get invited to a Food Republic event, you should go. The food and drinks will be amazing, and there will be great discussions about food and drink and the lifestyles around these things. In the future, you’ll see Food Republic’s name popping up in all sorts of places across all sorts of media. This post originally appeared on Meet Connor, a former House of Success blog about how brands are marketing to men. ← Good Branding is When You Find a Pep Talk Where You Least Expect It. Like On a Halls Cough Drop.